Starstell presents creamy color smiling face carved bone bracelet for boys and girls. This bracelet can be style statement for any age group who want to flaunt their style in a distinct way. 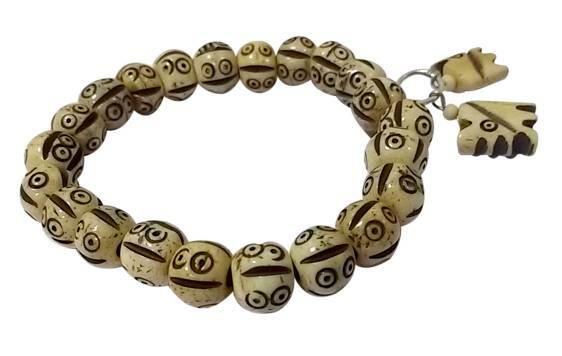 This bracelet is made from high quality and natural creamy bone material. Bead size is approximately 8mm. This includes an elastic thread which can be easily stretched to any wrist size. So show off your unique style with this great attractive bracelet. Provides protection from all sort of evil energy influence. Style statement for people of any age group. Made from high quality imported bone material. Round shapeed beads connected with elastic thread.